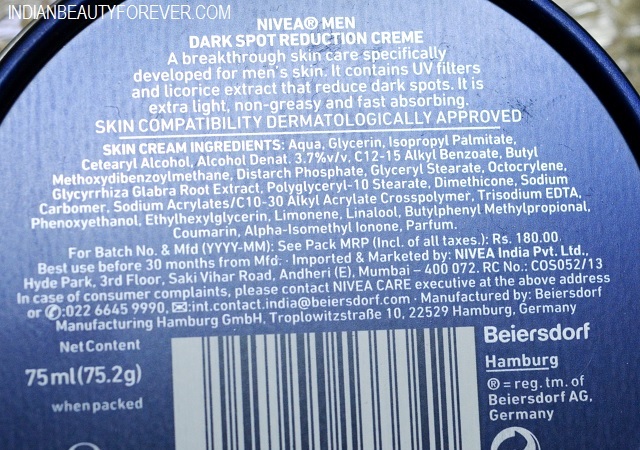 I am going to review this new Nivea for Men Dark Spot Reduction Crème. 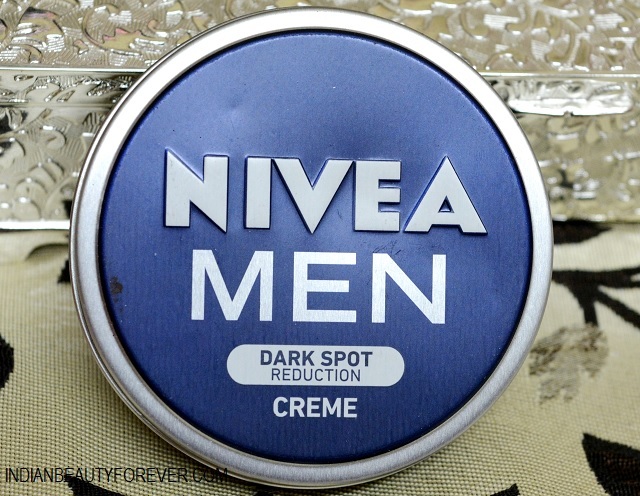 Earlier there was Nivea for men dark spot reduction moisturizer and now the same is available in the crème formulation as well. This too has been used by my husband. By the way, I am so in love with this cute looking disc like packaging. 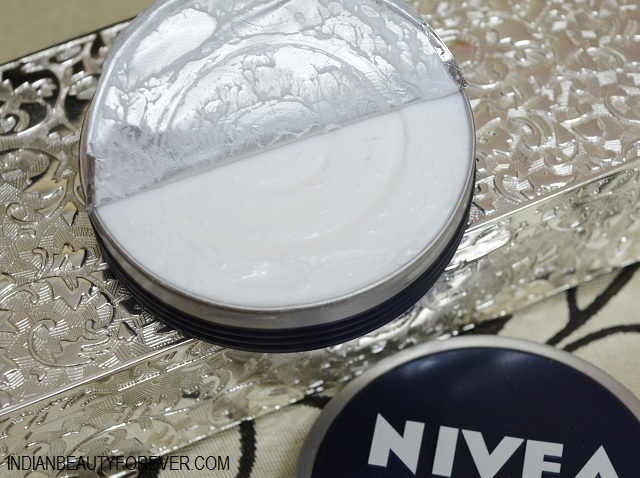 My husband was already using Nivea dark spots reduction moisturizer so, this crème was ideal for him to test whether the product fared well or not for his skin type. Let’s know more about it then. Product penetrates deep on the skin without leaving trace of greasiness or oils. My husband has the exactly same skin type like mine and so does my younger brother, so I can also not ove that the product did not made his skin look oily further. Fragrance of this crème is okay and not over powering but decent, I would say! He applies this in the morning and once he gets back home, I can see some shine on his nose but there isn’t too much oils hence, the cream has suited his skin type. Now coming to the claims that the product makes? Has this crème really reduced the spots? I would say to some extent. He has been using this for the past 3 week approximately and he says that the cream has improve the tone of the skin, like there were some patchiness that has been evened out and the dark spots have been lightened by very lightly. I think this will take more time then. He has pretty okay skin but the problem areas like tone and patchiness needed to be taken care of which this crème has done to some extent. He said that he will continue to use this as the texture is good for the oily to combination skin. Moreover, I think it is cost effective too since a little bit is needed as it spreads really nicely on the skin. I would recommend this crème to men who have got oily to combination and would need to have a product that can improve the skin tone and fade the dark spots or more like an everyday day cream.